Crime Watch, also known as Neighborhood Watch, or Neighborhood Crime Watch, is when a collection of citizens, usually in a particular neighborhood, or housing complex, organize into a dedicated group to prevent burglary, vandalism, and other crimes. A Crime Watch group is not a vigilante group, and cannot take the law into their own hands.  Crime Watch groups are trained to observe, and report, but not to intervene. The Crime Watch system of today began developing in the later part of the 1960's. The development of the Watch system was in response to the Kitty Genovese case in Queens, New York in 1964. Kitty Genovese was murdered in front of her apartment building, and as many as 38 people were reported to have heard her screams for help, which lasted more than 30 minutes, yet no one called the Police. In order to combat crime in today's society; the Police Department needs more eyes and ears in the community. The citizens of Tarpon Springs, must get involved, in order to help the Police Department protect you, your family, and your property. One of the most effective programs to reduce and eliminate crime is when a neighborhood comes together to form a Crime Watch group. Crime Watch is a cooperative effort involving citizens and the Police Department, where the citizens directly participate in the detection of crime and its' prevention. The Crime Watch program does not take the place of the Police Department, nor does it require that citizens take risks, and place themselves in a dangerous situation by taking the law into their own hands. Crime Watch is not a guarantee that your neighborhood will be 100% crime free. However, neighborhoods with active Crime Watch programs have shown measurable reductions in crime. Those who participate in Crime Watch are concerned about crime affecting their neighborhood, and believe that their efforts will have an impact on crime. 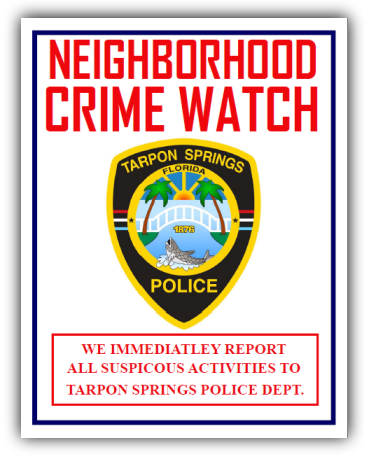 The Tarpon Springs Police Department actively supports the Crime Watch program and the Crime Prevention Office acts as the liaison between the Police department and the Crime Watch neighborhoods. The Crime Prevention Office trains Crime Watch groups in crime prevention techniques, such as home security, personal safety, and how to recognize and report suspicious activities. The neighbors get to know one another by working together, and keeping an eye on each other's homes and property. Contact the Crime Prevention Office for information and materials you will need. Select a Director and Co-Director. Block Captains may need to be chosen later. Explain why the need for a Crime Watch was established. Select a location to have a meeting to start the Crime Watch program. Select a day and time for the meeting. Prepare for the meeting by making an agenda, plan refreshments, etc. Crime Prevention Officer presentation of Crime Watch. Invite the residents of the neighborhood to the meeting. Notify residents of meeting date as soon as it is established. Remind residents of meeting date, two days prior. Young, Elderly, Married, Single, Homeowner, Renter. Communicate with the Crime Watch participants. Participants have a need to know what is going on in the group and with the program. Participants need to feel like their ideas and inputs are valued. Participants need to feel that the Crime Watch program is working. Do not take risks to prevent a crime or try to apprehend a criminal, Be A Good Witness. Tarpon Springs Police Department -- "Building a Better Future"